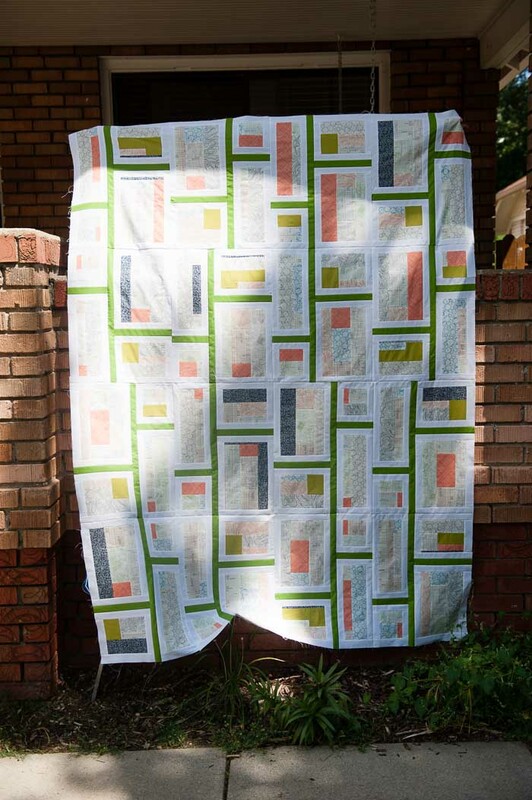 Melissa, President of the Front Range Modern Quilt Guild, lovely person and Instagram friend, has been a glue-basting evangelist lately. And she sold me on the ‘baste now leave it for later no pins to stick little ones seam matching ease’ reasons to use washable glue to marry up two fabric pieces before sewing. Oh, and since its back to school season, glue can be mine for a mere $0.25. I haven’t bought glue since, oh probably 1985, and I am now the proud owner of four bottles of glue. I started watching this video, but at 15 some odd minutes, it was just too long. I’m sorry, I’m sure that its a lovely tutorial with lots of great information, but I just don’t have that kind of time these days. I figured the important points out on my own: use the teeniest bit of glue in the seam allowance and use a dry iron to set the glue. At least that’s what worked for me! 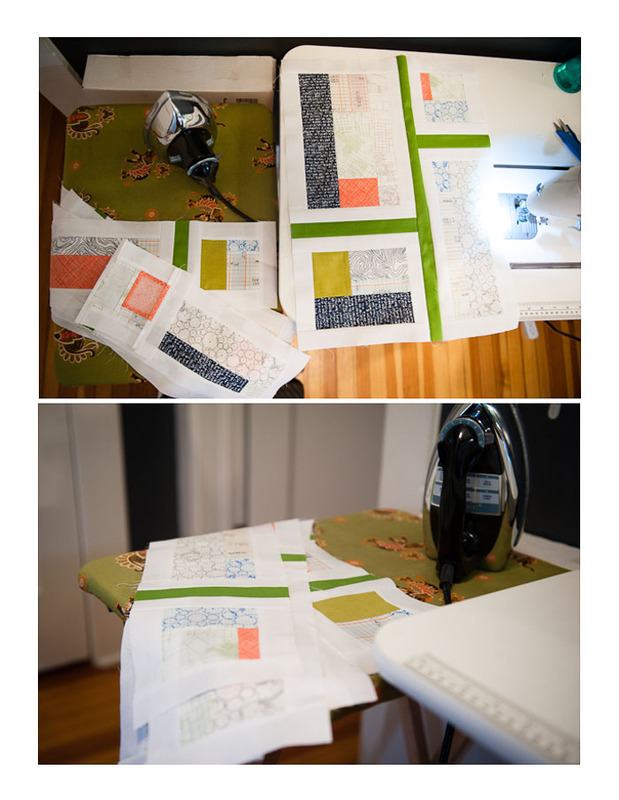 After sewing up the blocks for JJ’s quilt, I was ready to put them all together. 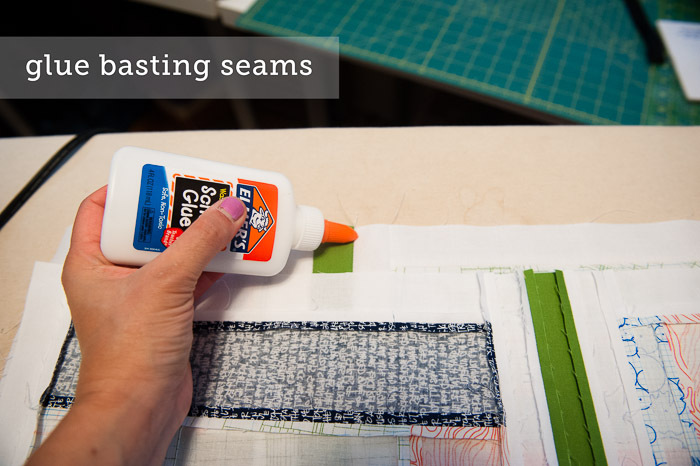 And why not try the glue basting method? I’m happy to report that it worked out really really well! It didn’t take any longer than pin basting, and running them through my machine was super quick and super easy. Because of the glue, I wasn’t able to press the seams open, like I did while constructing the blocks, so I pressed the seams to one side. The top is now done!